That’s a lot of years to be married. I’ve now spent more years of my life married than not. Even harder to get my head around is that I don’t feel that much older than 25… ish—depending on the day. Certainly not old enough to have been married for a quarter of a century! So what can I say about the woman who has shared these years and intertwined her life with mine? That she’s more beautiful today than the afternoon she walked down an aisle to marry me? That she’s an amazing mother to our 3 kids—filling our house with laughter, love, and joy? 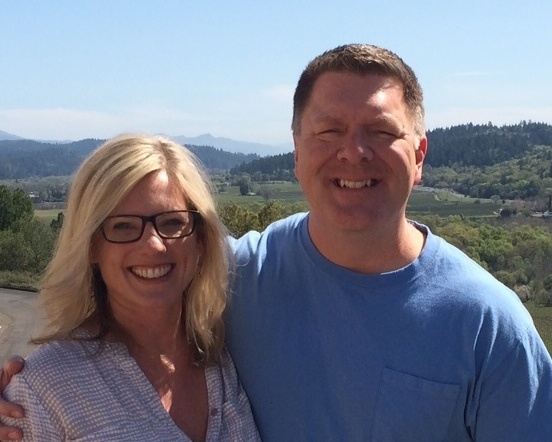 That she’s persevered with me through 20 something years of ministry—through joys and deep valleys, countless trips, retreats, and groups—opening up our home and our lives again and again? Yes, that and more. The thing about my wife- and the thing that makes our marriage strong and continue to deepen—is that she keeps seeking Jesus. Not because she’s “supposed to” as a pastor’s wife or because she’s trying to be a “good Christian”- whatever that means. She simply continues to pursue greater intimacy with Jesus. She lets Him uncover her “junk” and refuses to hide from the hard stuff. While she ultimately relies on Jesus’ transforming work in her heart, she’s the hardest worker- emotionally and spiritually—that I’ve ever known. Her hunger for God continues to grow, and because of that, she loves me more fully and authentically. I’m regularly challenged and inspired by my wife to know Jesus more deeply and follow Him more courageously. I know, anniversaries like this are often filled with extravagant professions of love that- let’s be honest—tend to embellish reality a bit. But as I write these words today, I have no such concern. My wife isn’t perfect, and I’m certainly not either. We are a couple of messy, flawed people who have come far enough to see that there is much more growth and challenge to come. But what fills me with great hope and real joy is that we continue to seek after the One who has carried us so far, and I know His grace will always lead us home.